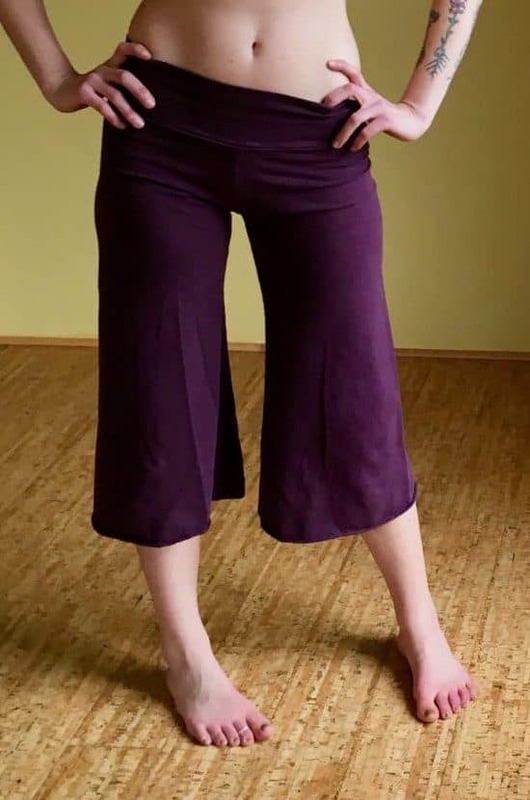 Our culottes are a long time customer favorite. What’s not to love about the easy, breezy crop of your favorite gauchos? Super stretchy hemp knit gives them extra support and the perfect drape. Raw bottom hem hits at mid calf. Another perfect active-wear garment! 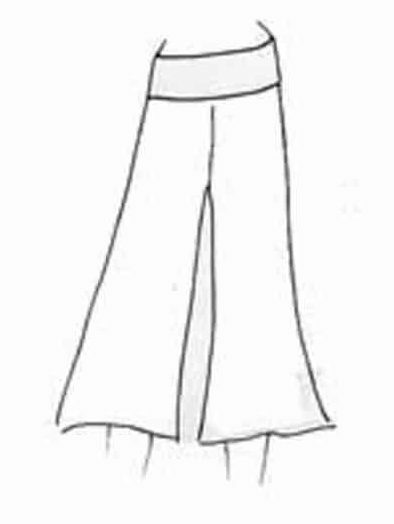 I love swingy pants, and these are the best of them. True to size, these are comfortable and flattering. Must have more!! Best pants ever. I have these in 4 colors, and love each one! Comfortable, fits great, would highly recommend these to anyone. crazy comfort and classy too. The hemp creates a solid drape while the weave is perfect, not too thin and not too thick. I’d love to see more shades of olive and goldenrod. The design is flawless. Love these pants! I have several pairs of these. They fit perfectly and accentuate all the right places. I feel these would flatter most body types. They are well-made and most of mine have lasted over a couple years with very regular use. The only problem is that there aren’t more colors, as I am ready to buy more! I have owned a pair of these for 2 years and wear them all the time.. they are very high quality! 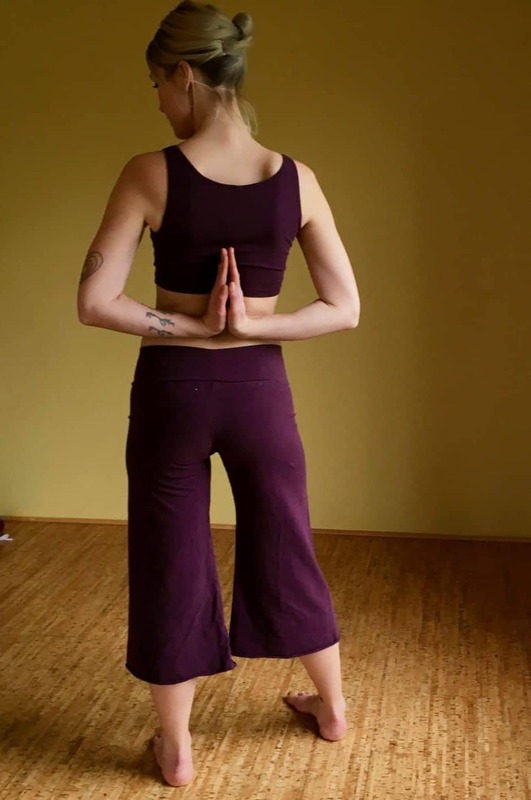 I love these pants for yoga, lounging around in, and they can also be dressed up! I just love these! Very flattering! Super comfortable, and good looking. Can easily dress these up or down. Sizing seems pretty spot-on, with generous stretch. Organic fashion, hand crafted with in Eugene, Oregon. Be the first to hear about our sales & specials. Stay in the loop with our latest blog posts and news from the eco-fashion world!